SD-WAN is poised to play a key role in the enterprise WAN market which is seeing a consolidation of diverse submarkets such as infrastructure, security, management, and monitoring. As is the case for any growing and evolving industry with a high total addressable market (TAM) potential, many vendors, both large and small, have come up with SD-WAN products and solutions. Standards are still evolving and solutions reflect the varying perspectives, strengths, and weaknesses of vendors. That has led to a fair bit of confusion about the solution spectrum. What and how should you evaluate an SD-WAN solution? This webinar aims to clear some of that confusion. Starting with the problem statement and a brief history of various architectural approaches to-date, the webinar will delve into the design components of an SD-WAN system and its three traditional layers: management, control, and data. It will then talk about use cases from real deployments and cover topics such as traffic engineering/path control and failover. Pradosh Mohapatra is a founder of Sproute Networks, a leading provider of SD-WAN and networking software solutions. He has been with the computer networking industry for over 18 years. 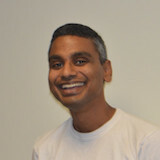 Before Sproute Networks, Pradosh led the routing software development at Cumulus Networks. He has served as a Distinguished Engineer at Cisco Systems, where he helped initiate the NCS-6000 platform, contributed to the design and development of the platform software, and implemented large portions of MPLS VPN and BGP for IOS-XR operating system. Pradosh was an early engineer at a number of networking startups, including Procket Networks and Tasman Networks.